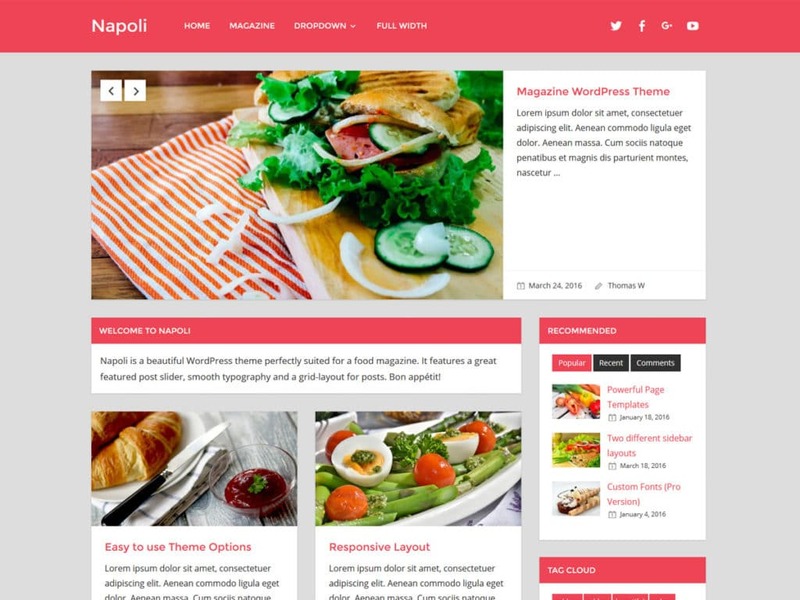 Say hello to our newest WordPress Magazine Theme called Napoli. Napoli is a beautiful theme perfectly suited for a food magazine. It features a great featured post slider, smooth typography and a grid-layout for posts. Bon appétit! The theme supports a beautiful featured post slider to showcase your most important posts. The Slider can be configured easily in the Customizer and allows you to choose a slider category, number of slider posts and the slider animation. The blog index and archive pages of Napoli display your posts in a great two column grid layout. If there are no sidebar widgets, the layout automatically switches to a three column layout. 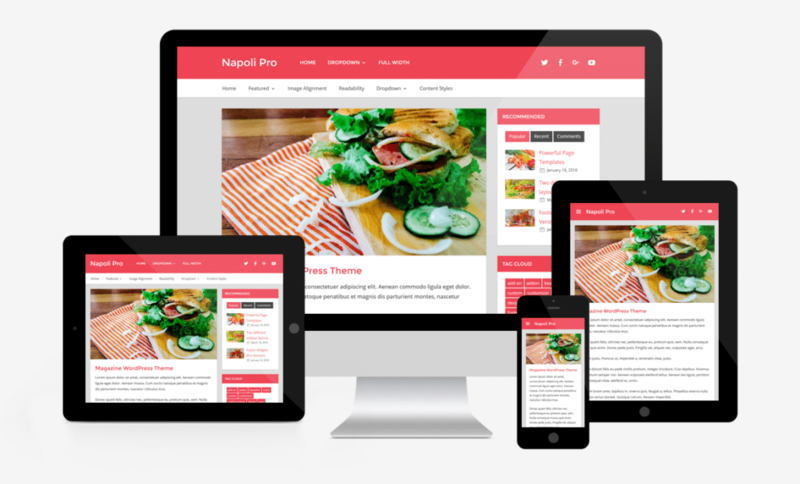 Napoli features a fully responsive and mobile-ready layout which works great on any screen size. Your visitors get a splendid website, whether they use a desktop, tablet, or smartphone. If you need more features check out the Napoli Pro add-on plugin. The add-on extends the basic theme with extra magazine widgets, custom color options, typography settings, footer widgets, and additional navigation menus.